Few Copyright Board of Canada decisions have elicited as much anger from the music industry as the 2014 Tariff 8 decision. 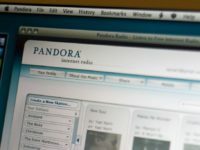 The decision relied on commercial radio rates as the barometer, which seemed appropriate given the similarities between Internet streaming services that do not allow users to select specific songs and commercial radio stations that play a regular music rotation. Music Canada and its allies disagreed, launching a major campaign against the decision, which it said resulted in 10 percent of nothing. The industry was particularly upset that the rates were lower than the U.S. (due to international copyright obligations, the Canadian repertoire during the period of the tariff was about the half as large as the U.S. one). The industry appealed the decision with considerable fanfare, promoting the many groups that joined in the action.